Image by user mrceviz at sxc.hu. If you are like most of my clients then not only is your physical paper files out of control, but so are your computer files. Go ahead and admit it. You have about 500 icons sitting on your desktop and you have files on your hard drive that you have no idea where it came from. You are not alone. We all suffer from having a disorganized computer. There is just so much to keep up with, even online. Bookmarks can get out of control quickly. 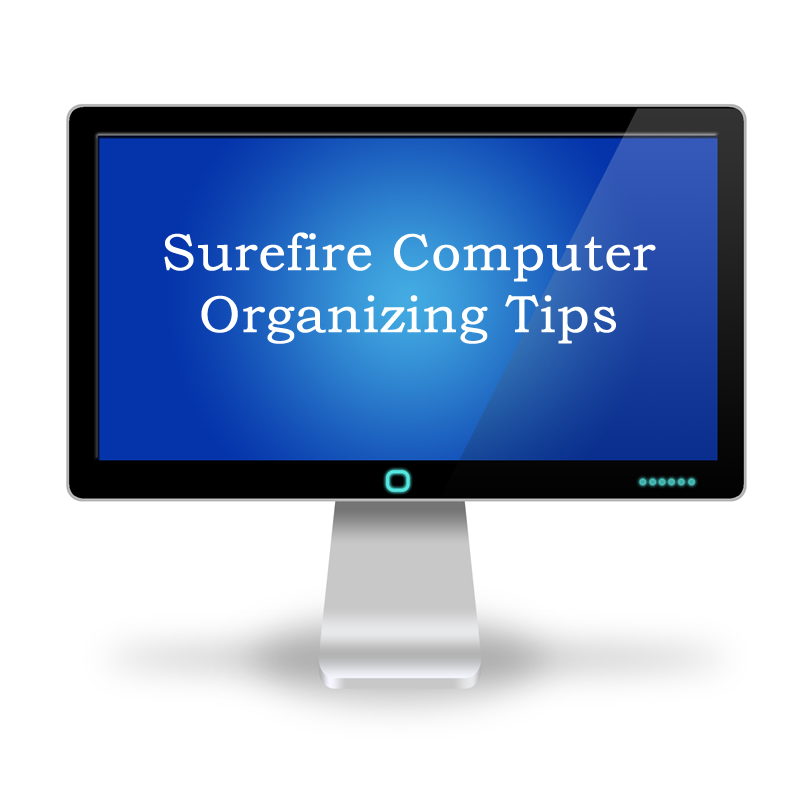 With all of the clutter that can stack up on your computer I want to share with you some quick tips that I use to keep my computer in check when it comes to organizing. Hopefully you will find these useful and will be able to implement them into your organizing journey. The first step is to get rid of old files. This may take you several days to do but is well worth it. You can go folder by folder if need be. You then want to get rid of any programs you no longer use. We all have programs that we have tried, but never return to it. Kind of like clothing. Once you do that then you need to get in the habit of creating folders on your computer by topic. You then want to put files that you save in those relevant folders to keep them organized. On my computer I have a system set up where I have folders for my businesses and then I have folders for my personal things set up like a real file cabinet. Then within those general folders are sub-folders that are a bit more specific. I break things down by year and some things by month. A glimpse of my organizing system on my computer. File skeleton setup idea courtesy of Tracey Axcell at http://www.officiallyorganized.com/. The key is to have a folder for everything. 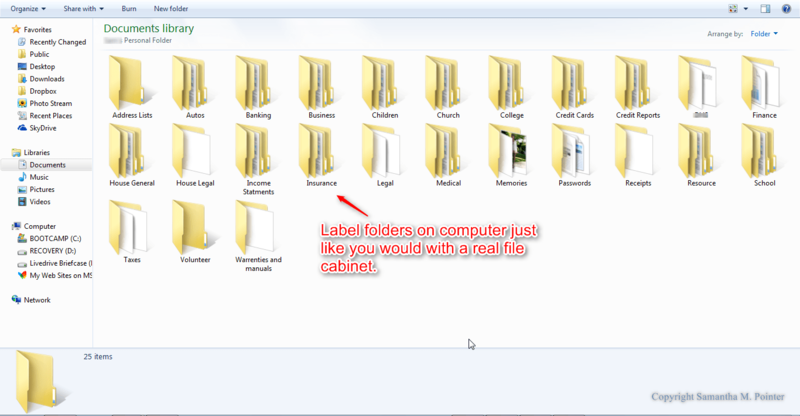 You want to name folders what you will think of when you get ready to file something or to look for something. It is just like you would do with a physical file cabinet with files. Another thing to do is clean off your desktop. I use a program called Fences to corral all the icons into groups and then to hide the desktop all together. It is a good idea to take at least an hour once a month to clean off your computer and make sure everything is up to date. And as always keep a backup. I hope these tips help you to get your computer files in order and to keep it organized. Bonus tip: Use programs like Evernote to keep notes and entire documents to keep from having a bunch of text files on your computer.